Thanks to our innovative steerable scrub deck, the BR 35/12 C Bp can clean up to the wall at a 90° angle. It can even clean in reverse. The height-adjustable and telescoping handle allows optimal ergonomics for any operator. The folding steering column also makes it easy to secure for transport. 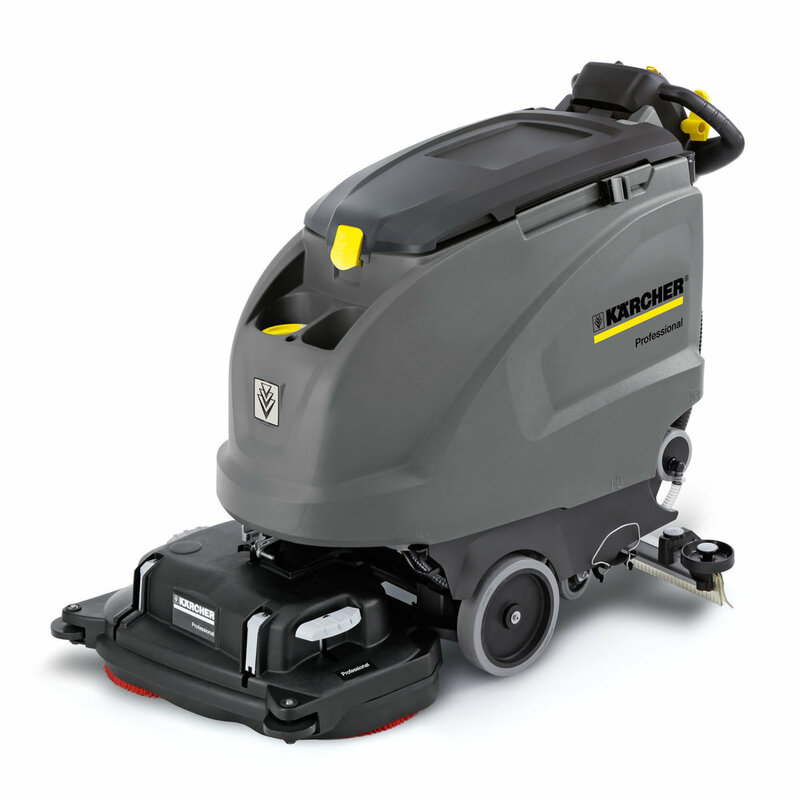 Thanks to our innovative steerable scrub deck, the BD 38/12 C Bp can clean up to the wall at a 90° angle. It can also clean in reverse, or in any needed. The height-adjustable, telescoping and folding steering column allows optimal ergonomics for any operator. The folding steering column also makes it easy to secure for transport. 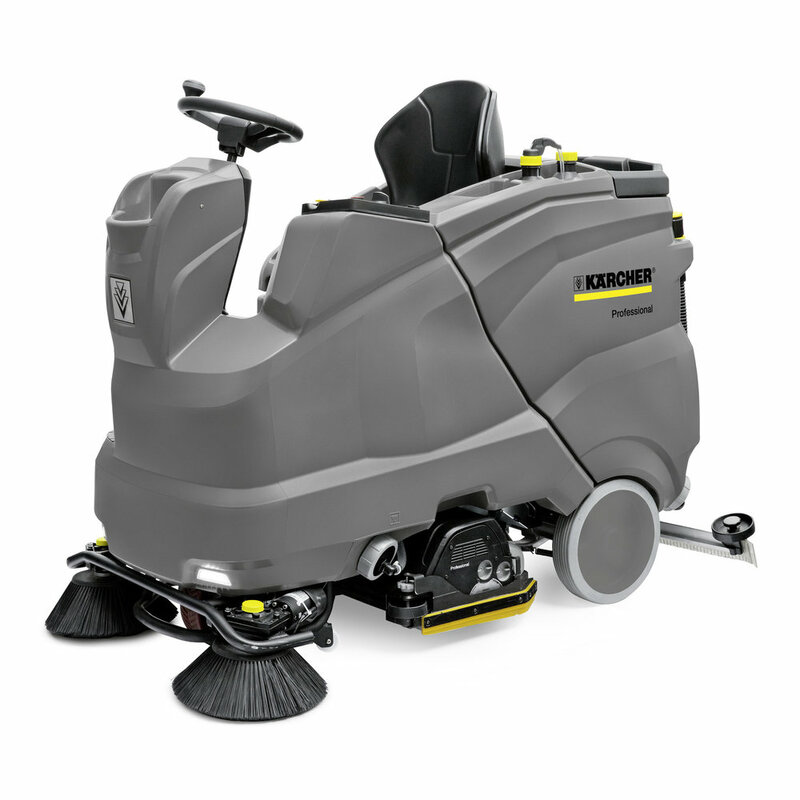 This economically-designed scrubber provides you all the cleaning power to take on large applications - perfect for larger area hard floors needing more efficient cleaning than mopping. We built this machine to be easy to operate, safe and easy to maintain. Our Kärcher Intelligent Key (KiK) and our advanced EASY operation are some of the many reasons why the B 40 C/W family offers a full spectrum of safety and protection for operators, machines and your floors. Choose disc, cylindrical and orbital decks from 17" to 22"
The B 60 W Bp is the walk-behind scrubber built for efficiency, choose between cylindrical, disc or orbital mechanics and various widths to suit your needs with our interchangeable scrub decks. 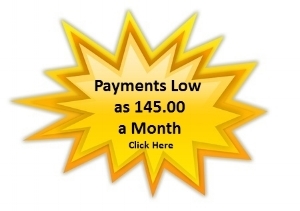 Choose setting for your operators with our innovative KiK key system. Choose disc, cylindrical and orbital decks from 22" to 26"
The B 80 W BP scrubbers cover a lot of area quickly, but are still easily maneuverable. They feature a robust, interchangeable, maintenance-friendly scrub deck. Choose from cylindrical or disc in 22”, 26”, or 30” widths. Kärcher Fleet comes pre-installed on this machine to provide you with complete visibility of your machine. 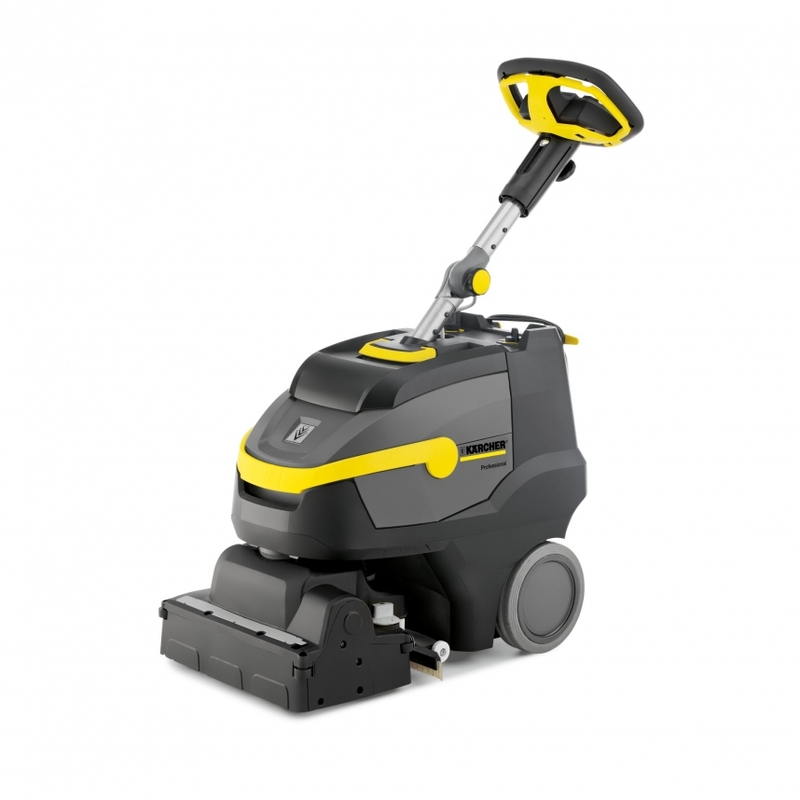 The B 150 R can cover up to 64,580 ft²/hr making this one impressively productive scrubber. Although it can cover large areas quickly, we made sure that it has great visibility for safety. Our KIK operating system and the color coded controls make operation simple and intuitive. KIK allows managers to control what functions and settings their employees can use and adjust. All-wheel brake system for safety large color LCD screen to adjust everything to your needs including contact pressure, water volume, brush speed, etc.